Our friends of the La Blaque observatory in Varages had organized an afternoon dedicated to solar observation. We were ten of us behind the eyepieces to admire the hot sun rays. We deploy heavy EQ, Celestrons (the famous Hats of AiryLab) some large Lunts a Skywatcher and other solar bino’s. I had a lot of work at the sketch board !!! Only a 150 mm Lunt was devoted to the photography. As the sun had become much quieter than previous days, it was not particularly complex to draw today, but we do what we can with the star we have! 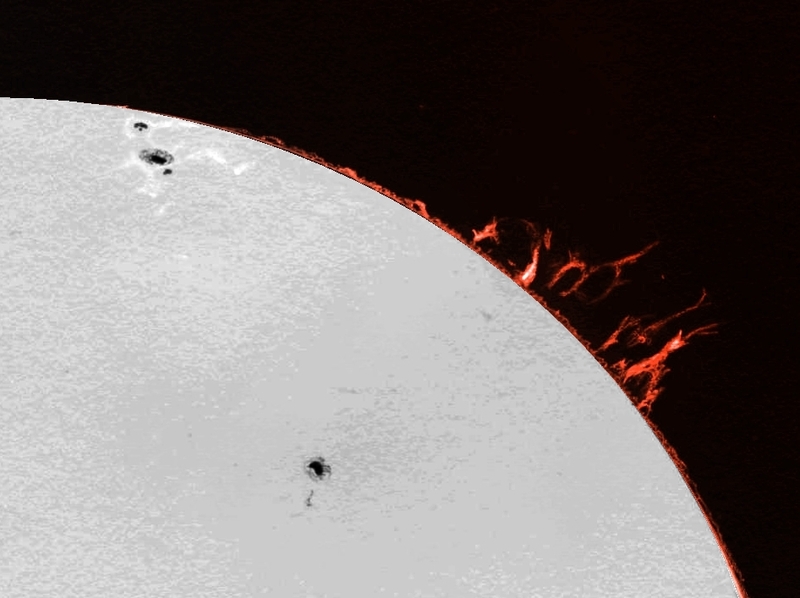 On the left we can see the active area around the end of the AR2339 spot. 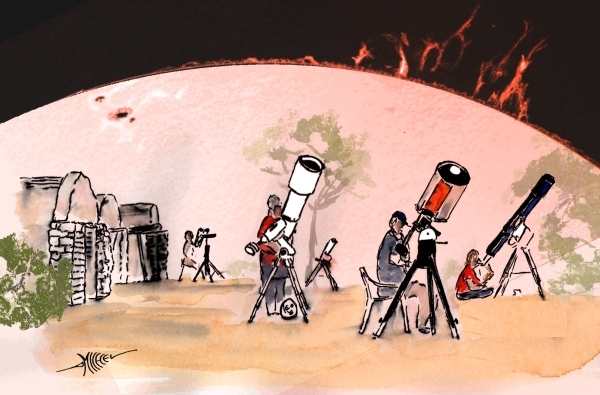 Very nice drawing of the sun with differents telescopes! sketches of People around, looks like “photo”! I enjoy Your aquarell drawings. I look foreward to many more from you ! Thank you David and Per-Jonny ! It is always such a great pleasure to see your water color (and coffee) compositions. You always capture a scene that any observer would want to be a part of.